A Supreme Court bench comprising of Justice J. Chelameswar and Justice S.A. Bobde warned the centre on Tuesday to clarify its stand over certain provisions of the Information technology Act which are often called up by authorities to gag free speech on social media. 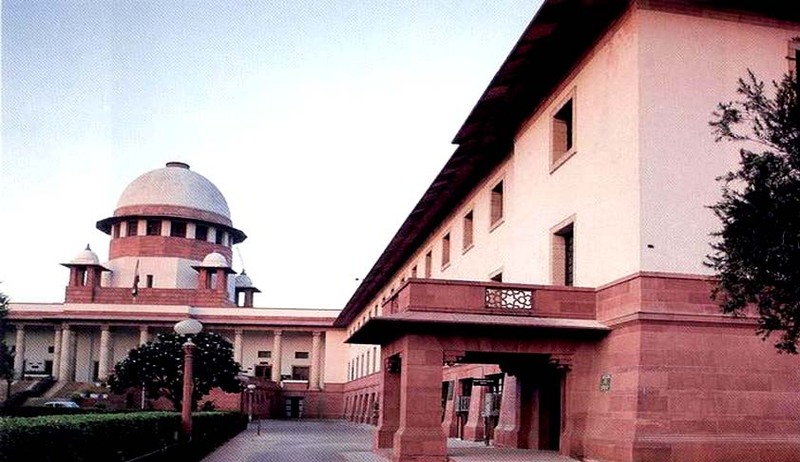 The order of the Bench came after the petitioner’s counsel Manali Singhal brought to the Court’s notice, the delay that had been caused in the petition, which had been filed way back in April, 2012. The Court was hearing a petition filed by Shreya Singhal, which demands that Section 66A and 74 of the IT Act is declared unconstitutional. She had contended that the sections were vague and broadly worded, leading to restrain of Freedom and Speech and Expression guaranteed under Article 19(1) of the Constitution of India. The petitioner had brought forth the plea, petitioning against the arrests of two girls in Mumbai in November 2012 for a Facebook post against the shutdown of the metropolis during Shiv Sena supremo Bal Thackeray’s funeral procession. In January last year, an Advisory on the implementation of Section 66A of the IT Act had been issued by the Centre to Chief Secretaries and DGPs of all States and Union Territories. The Advisory acknowledged that, “cyberspace also has the potential to the misused for variety of purposes such as spreading hate mails, posting inflammatory, harmful and offensive information in the form of images, videos, photos and text”. It then went on to add, “Due diligence and care may be exercised while dealing with cases arising out of the alleged misuse of cyberspace…. State Governments are advised that as regard to arrest of any person in complaint registered under section 66A of the Information Technology Act 2000, the concerned police officer of a police station under the State's jurisdiction may not arrest any person until he/she has obtained prior approval of such arrest, from an officer, not below the rank of the Inspector General of Police in the metropolitan cities or of an officer not below the rank of Deputy Commissioner of Police or Superintendent of Police at the district level, as the case may be.” Read the entire text of the advisory, here. While Section 66A provides for maximum three-year imprisonment for sending 'offensive' or 'annoying' messages through a computer or communication device, Section 74 provides for two-year jail term for intermediaries hosting such content. Bangladeshi writer Taslima Nasreen has also petitioned before the Supreme Court, seeking a quashing of a case registered against her in Bareli district of Uttar Pradesh for posting certain 'objectionable comments' in a tweet in 2012. She had criticized AAP leader Arvind Kejriwal for meeting Maulana Tauqeer Raza Khan. Khan had issued a fatwa against Nasreen in 2007. The matter will now be heard on December 9.